After 8 long months of construction on this busy street, residents, businesses, visitors, and tourists alike are undoubtedly breathing a sigh of relief — and maybe even humming a holiday tune. Construction is finally over and the area shops and restaurants are open for business and once again accessible to shoppers — just in time for the holidays. And there are a lot of businesses along the bustling Monroe Street — many of them with that “neighborhood feel.” Local coffee shops, several ice cream and custard options, restaurants, and stores line the busy street. There’s even a Trader Joe’s here! The Southwest Commuter Path on the neighborhood’s northern boundary, has become a pedestrian thoroughfare in the area — full of dog walkers, power walkers, stroller-pushing parents, bikers and, yes, commuters. But that’s not the only place where you’ll find walkers. There are parking lots as well as street parking here. Lots of it — now that the construction is completed. But Dudgeon-Monroe is a neighborhood that was clearly designed with pedestrians in mind as well. Residents and neighbors mix with visitors, walking up and down the street between the many shops and restaurants. It may be business usual again, but it’s not all business here. Bordered by the Southwest Commuter Path on the north, Edgewood Avenue to the east, Lake Wingra on the south, and Odana Road to the west, the Dudgeon-Monroe is composed of 1,500 households. Homebuyers attracted to the charm, tradition, history, and location of the Nakoma neighborhood, often turn to Dudgeon-Monroe to get all that — along with an added hip and trendy vibe similar to Willy Street or Atwood. Houses here are typically older two-story homes built in the 1920s and ‘30s with welcoming front porches and one-car garages — on quiet tree-lined streets. Home styles range from prairie-style and bungalow to farm house, Cape Cod, and Colonial. Many of the homes in Dudgeon-Monroe have been remodeled and updated inside for modern convenience, while keeping the original hardwood intact to maintain the charm. The average selling price in November 2018 was $397,032, while the median came in at $470,000. The lowest was just $220,000 and the highest sold price topped out at $600,000. The Dudgeon-Monroe Neighborhood Association was established back in 1973 and is still active today, planning a wide variety of events for residents — with a little something for everyone! They include a February Wine Tasting, Spring Ice Cream Social and Annual Meeting, Solstice Bonfires, Park Work Days, Bike Path Workdays, Annual Weed Feed in May, Lake Wingra Clean-Up in June, Jazz in the Park also in June, July 4 Children’s Parade, Moonlight Paddles on Lake Wingra, and the Monroe Street Festival. And if, as they say, location is everything, well, what could be better than this? Dudgeon-Monroe is centrally located with the Square, the UW campus, UW Hospital, Veterans’ Hospital and Children’s Hospital, UW Arboretum, and the Henry Vilas Zoo all within a 2-mile radius. West Towne and Hilldale shopping centers are also close by. And golfers can hit the links at Glenway Golf Course, a public course at the corner of Glenway and Speedway, or at the privately-owned Nakoma Golf Club. And there are plenty of other things to do! Check out Wingra Park. It offers soccer fields, a basketball court, and playground — and best of all, Lake Wingra. The park is home to Wingra Boats, where people can rent canoes, paddle boards, kayaks and more for a day on the water. Or spend the day wandering through the nearby Arboretum or biking the SW bike path. And then there’s Wingra School. Perched on the Dudgeon Park Hill on the north side of Monroe St., the school is home to another playground. This outdoor playscape combines outdoor play and environmental education. The playscape was designed to include natural landscapes for climbing and exploring, a music area, boardwalk, rain and pollinator gardens, a food forest, a council ring, and a stage. When not playing and exploring the neighborhood attractions, kids living in the Dudgeon-Monroe neighborhood typically attend Thoreau Elementary, Cherokee Heights Middle School, and West High School. But there are several private school choices nearby as well. Queen of Peace, (serving K-8), Edgewood Campus School (K-8) and Wingra School (K-8) all feed into Edgewood High School or West High. 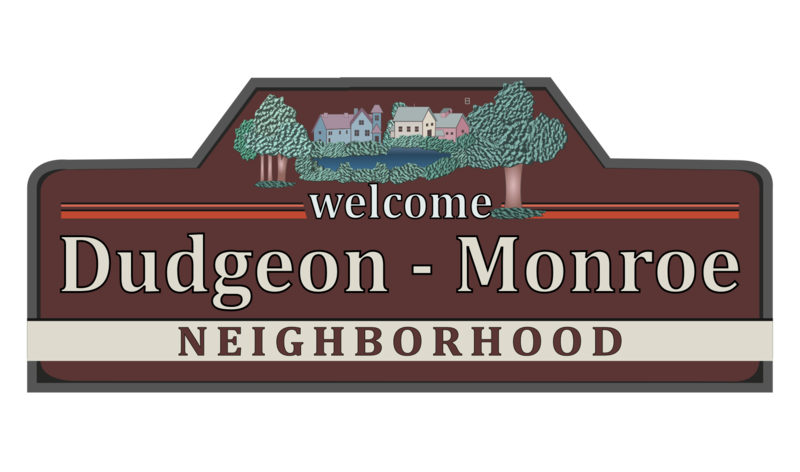 All in all, Dudgeon-Monroe is a storied neighborhood with a rich tradition and the welcoming feel of a true “neighborhood.” With cozy homes and bustling businesses, as well as plenty of recreational activities, some might say this is a neighborhood that has it all.